Note: The following language was copied directly from a post published last March on the CTU website. However, the links below to the Excel sheet and the linked CPS memo are current. 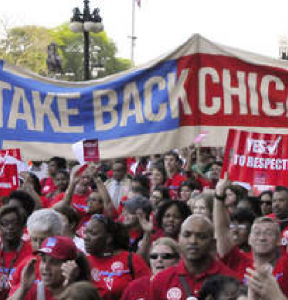 Per Article 21-13 of our contract, the CTU and CPS are continuing to negotiate over the details and procedures for implementing a Workload Plan for Special Educators to help alleviate the burden of paperwork, special education job duties and caseloads. To date, we’ve only come to agreement over the procedure for dispersing funds to relieve special education workload issues in schools (Article 45-4.7). Click here to download an Excel spreadsheet of the allocation made to each school. You can also download the CPS memo on these funds here. Special education staff – including special education teachers, clinicians and case managers – should meet to determine the best use of funds within each school. The full procedure is outlined below. Substitute teacher coverage for classes so teachers can do evaluations, surveys or interviews with students in preparation for an IEP meeting. Overtime for teachers to complete special education paperwork after school at their regular rate of pay or pay to conduct after school assessments. Please stay in touch with CTU about this matter. Share your best ideas with CTU and colleagues at other schools. These funds are to help relieve the workload at the local level so do what works best for your school’s special education staff. Workload funds will be allocated to schools on per special education pupil basis. Special education pupil means any pupil with an IEP or a 504 plan. To obtain the per pupil amount, $500,000 per year will be divided by the total number of CPS students with IEPs or 504 plans. The special education teachers, clinical staff and the principal shall develop a plan for use of the funds to decrease the workload of special education teachers and clinicians. The plan must provide relieve to special education teachers and clinician workloads. The special education teachers, case managers, clinicians and principal shall consult with and seek input from the PPLC on a plan for use of the funds. In the event an agreement cannot be reached among special education teachers/clinicians or between teachers and the principal, the choices shall be put to a secret ballot vote by special education teachers and clinicians only, which shall be conducted in the same manner as a contract waiver vote (i.e., conducted by the Union delegate and certified by the delegate and principal). Nothing shall prohibit the school from having more than two choices and conducting run-off votes in the event a majority has not voted for one choice. The funds shall be expended in accordance with the choice of a majority of special education teachers and clinicians voting. 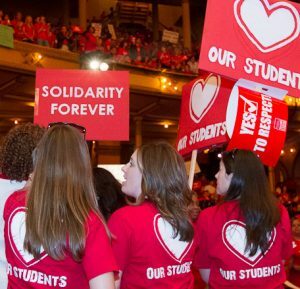 If it becomes necessary to have a vote to determine use of funds, please contact the Chicago Teachers Union and speak to your CTU Field Representative to discuss the voting. Click here to locate your field rep.